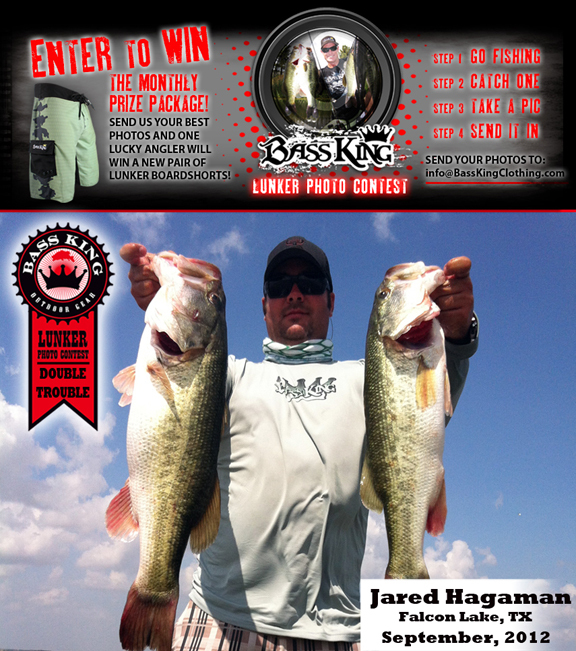 Congrats to Jared Hagaman - winner of the Septmeber 2012 BASS KING LUNKER PHOTO CONTEST. Submit your photos HERE or post them up on our FACEBOOK page with the title "October 2012 Bass King Lunker Photo Contest". 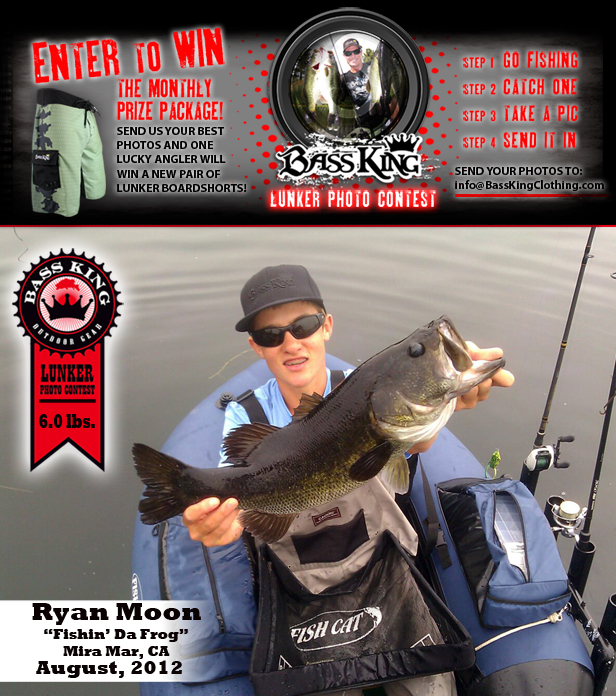 Congrats to Ryan Moon - winner of the August 2012 BASS KING LUNKER PHOTO CONTEST. 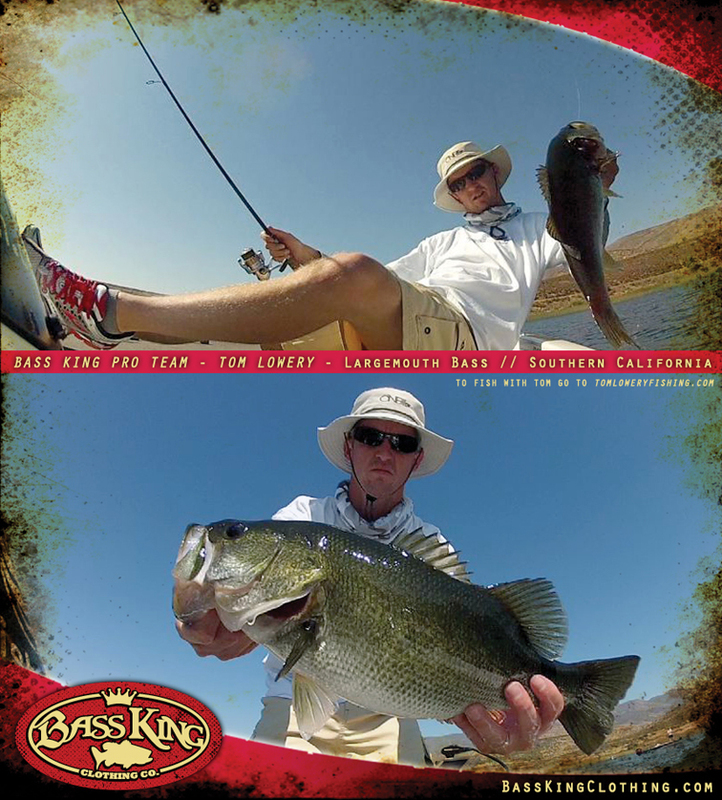 Submit your photos HERE or post them up on our FACEBOOK page with the title "September 2012 Bass King Lunker Photo Contest". 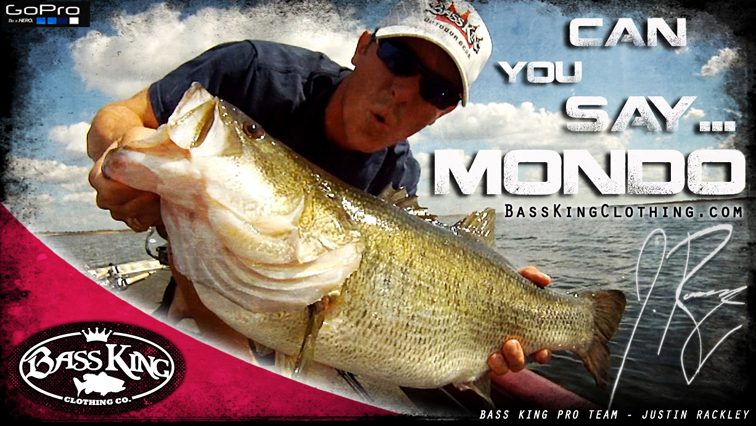 Bass King Pro Team Angler Justin Rackley is a guide at Lake Fork, Texas - better yet, he is a master at putting his clients on 'Mondo'-sized Largemouth Bass. This one, however, Justin pulled in himself. 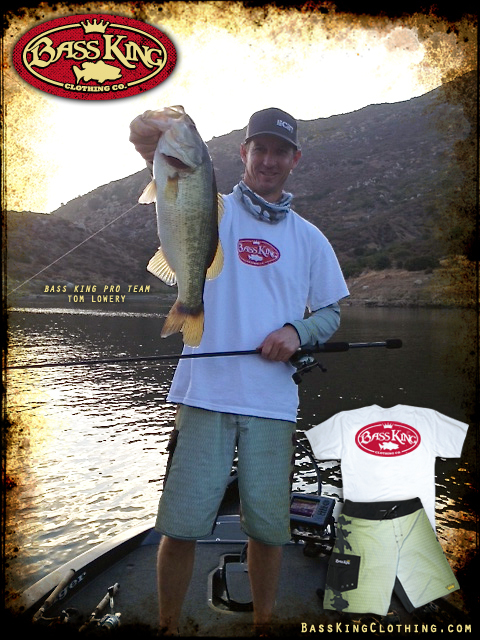 San Diego area lakes guide and Bass King Pro Team Angler Tom Lowery shows off a nice "largie" caught at Lake Otay, California.